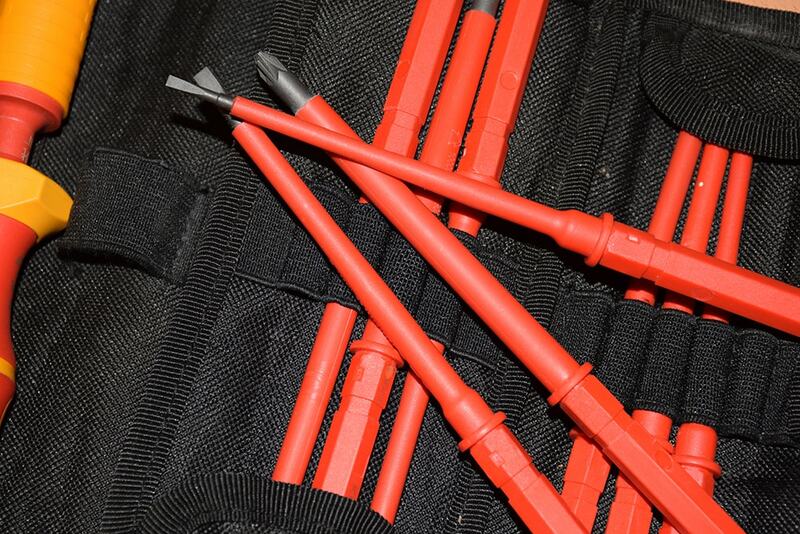 Wera’s aim is to challenge the current standard of tools. Made in Germany, the Wera VDE Adjustable Torque Screwdriver is designed for electrical installations and guarantees safety of components with loads of up to 1,000 volts. 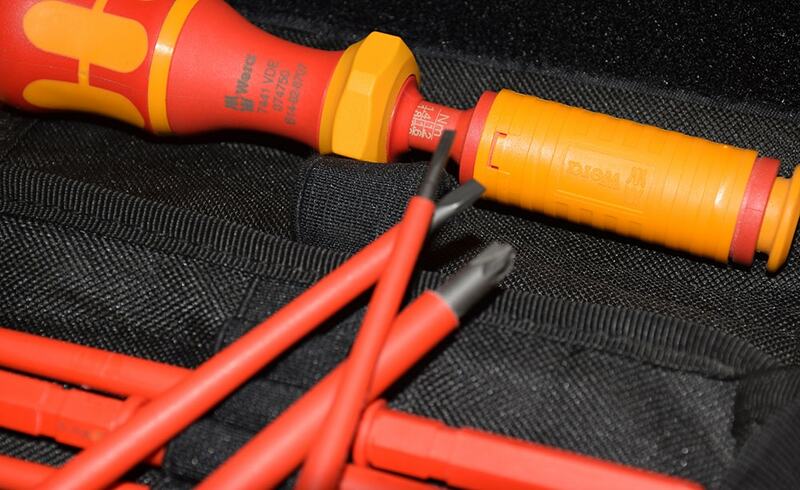 The VDE torque screwdriver conforms to the current safety standards and wiring regulations, boasts a range of removable VDE blades and an adjustable torque setting of 1.2-3Nm (in 0.1Nm increments). Everyone has their preferred tool, their preferred brand, the brand they know they can rely on for top quality products. One of our electrical trainers chooses Wera because of the “good, comfortable non slip grip and it’s comfortable for long use too”, which allows you to get the job done quickly and efficiently. The original Wera screwdriver set has a good variation of interchangeable blades included in a belt loop pouch for easy transportation. The interchangeable handle allows you to switch blades easily, with press in auto-lock, easy release and spin sleeve, which makes it safer to use. The tool also gives you unlimited toque function for manual loosening jobs. It’s ideal for RCBO’s and recessed screws and sure to make the job easier. Ideal torque setting is clearly heard and felt, giving a nice pop sound when you the right torque. The number system is not in a position that can wear, which aids the longevity of the product. 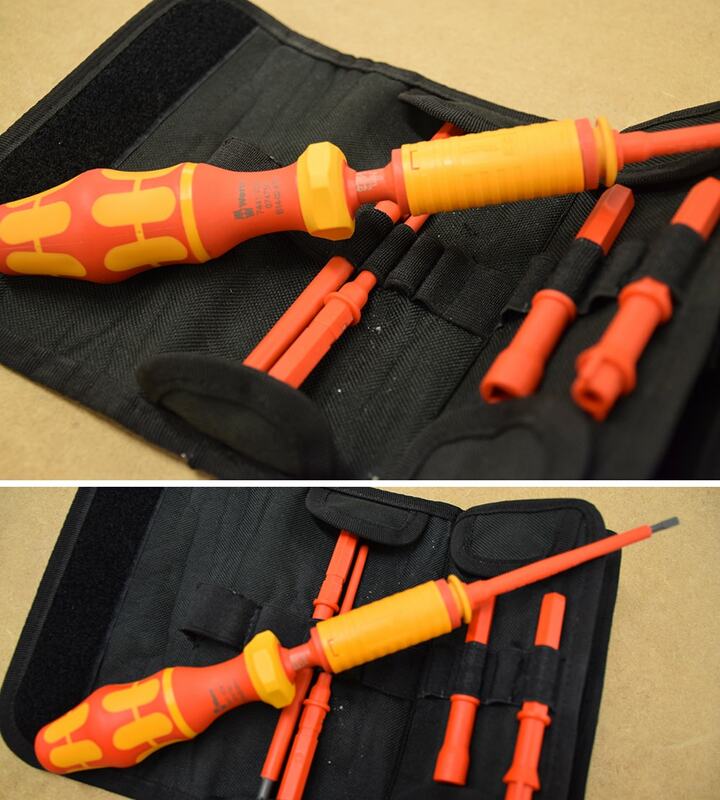 You won’t need any other torque adjustment tools when you buy this set, as everything you need is included. The only downsides are that “you could do with a second handle and a slightly bigger pouch to hold blades and handle”, to save you the worry of anything falling out. Also it is worth mentioning that our trainer thought “the torque is fiddly at first but once you have practised becomes straight forward”. 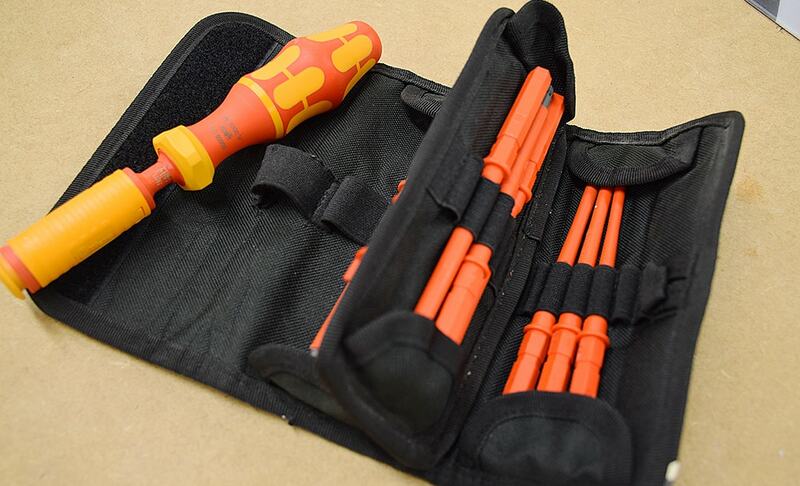 Wera VDE Torque Screwdriver Set is available to buy from Wera stockists and Amazon. 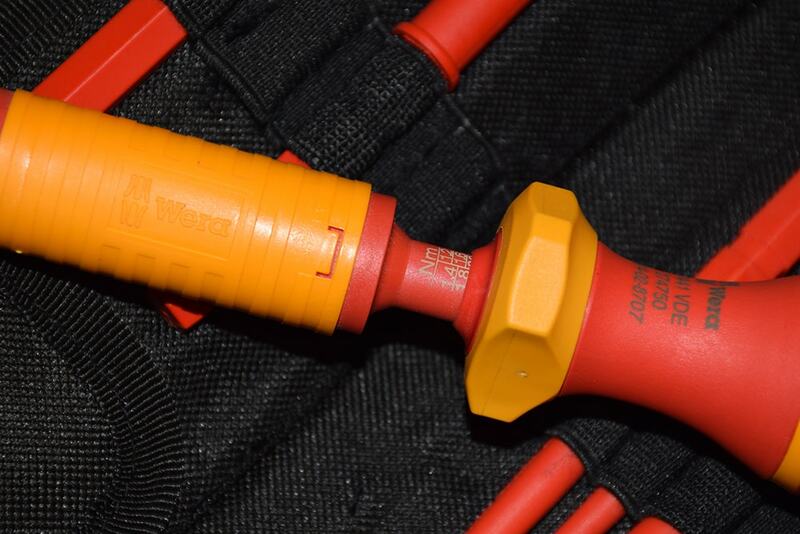 If this screwdriver isn’t the one for you, take a read of our review on the Armeg VDE Torque Adjustable Screwdriver Set!